None of the members of the 16-man squad that day are still at the club, but where are they now? The keeper turned in a superb display on the day, and it did not go unnoticed as Rangers signed him a few months later. He made 7 appearances for the Ibrox club before moving to QotS. He is now at Dunfermline. 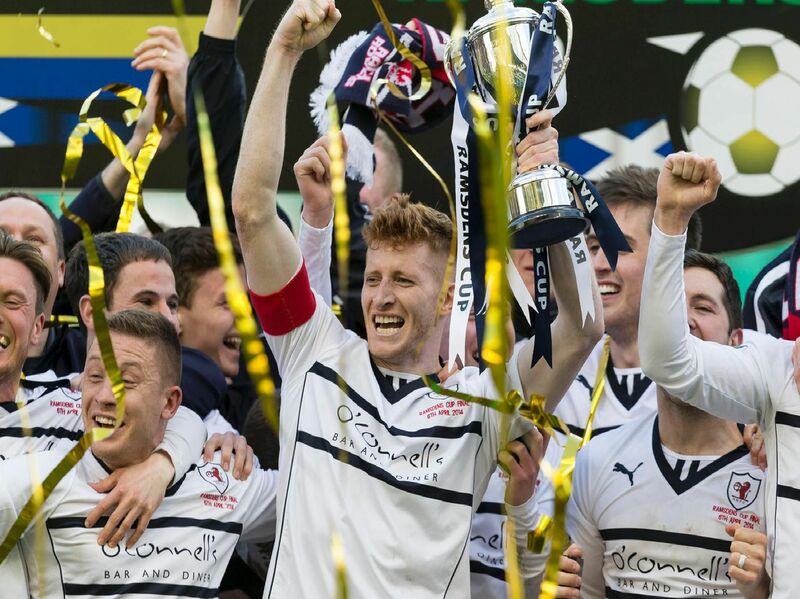 Only the second Raith captain to lift a national trophy. Spent six seasons at the club before departing last summer in order to move part-time and join Arbroath, where he is closing in on a League One title winners medal. The left back, aged 22 at the time, was on a season-long loan from Hibs. Returned to Easter Road before moving to Partick, where he spent three and a half seasons in the Premiership. Left Firhill in the summer to join Dundee Utd. The centre-half spent two seasons with Raith after joining from Livingston. Left the Kirkcaldy club in the summer of 2015 to sign for Falkirk. The 28-year-old is now at Dundee United.